Through attending games and talking to players, coaches, media and fans from the past and the present, seasoned football correspondent John Duerden charts the history of the rivalry in the past, captures a snapshot of the rivalry as it is and casts a look at the future. It won't be just about the big games but about players from one country that played in another and the recent sojourn of Lions XII in Malaysia and Harimau Muda in the S-League. 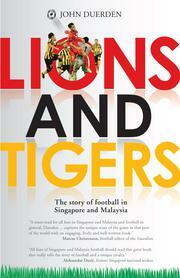 From meetings between the two national teams and clubs to tales from the times when they both sent teams to compete in the other’s league, Lions and Tigers describes how Singapore and Malaysia feel about each other and how it all looks to an outsider between the two countries with comments from both nations—from coaches, players and key stakeholders, and also journalists and fans of the beautiful game.